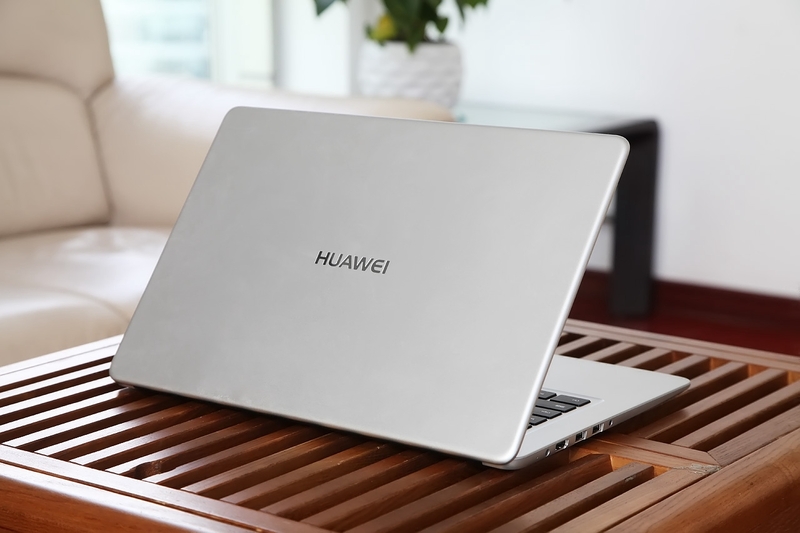 The Huawei MateBook D (2018) has released silver and obsidian black two new variants in the early of this January. The laptop we will disassemble is powered by Intel’s eighth-generation Core processor coupled with NVIDIA MX150 independent graphics card. Its performance has been greatly improved. 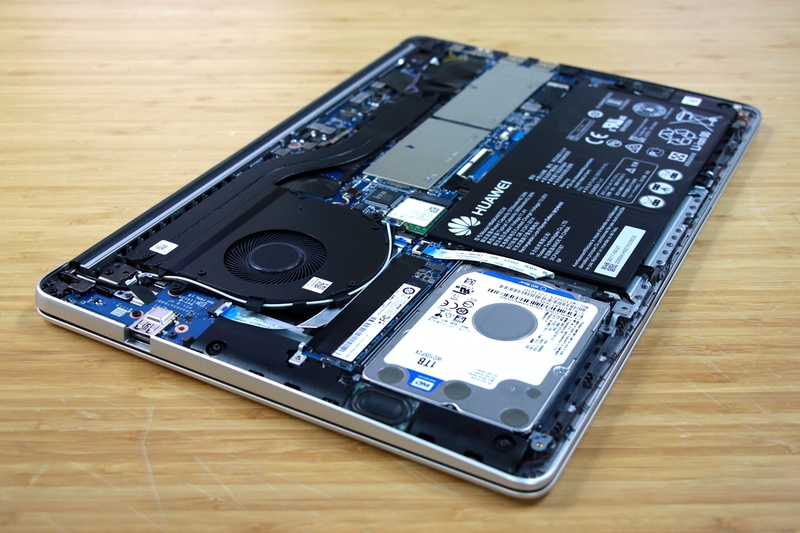 The laptop comes with 8GB DDR4 and 128GB SSD coupled with 1TB HDD. 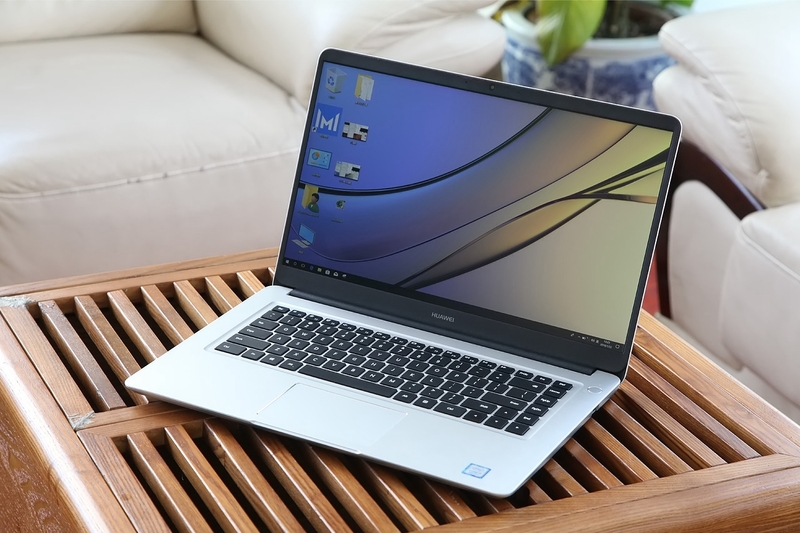 The MateBook D (2018) features a 15.6-inch 1,080p anti-glare display. As a thin and lightweight laptop, the variant’s thickness only reaches 16.8mm (the thickest part), and it weighs 1.9kg. 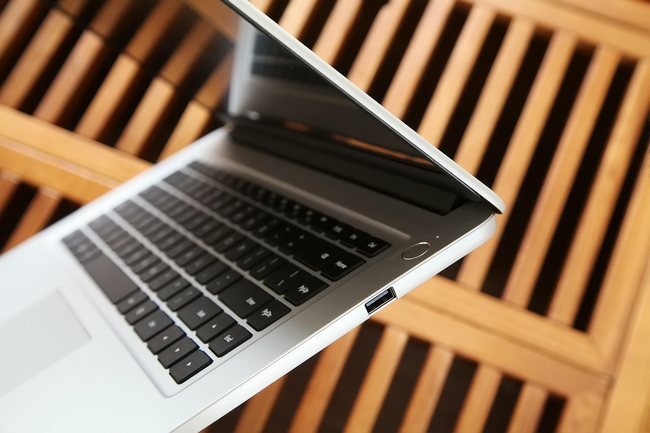 The narrow bezel design makes the laptop look small and exquisite. The laptop adopts all-metal design and has applied the brief design on each surface with good touch feeling. 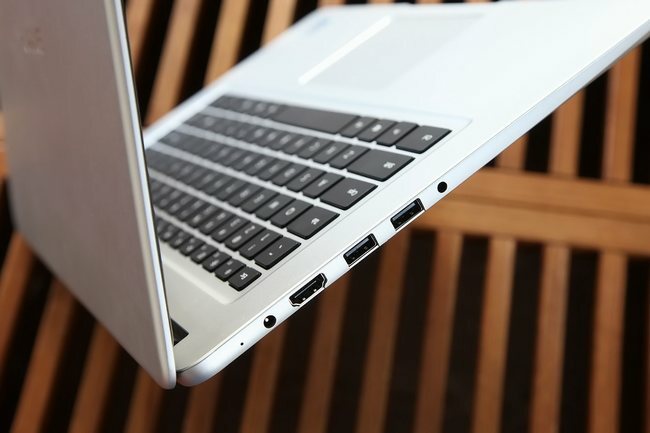 The ports on the left include two USB3.0 ports, a USB2.0 port a standard HDMI port and two-in-one audio port. The MateBook D (2018) provides small portable power adapter. 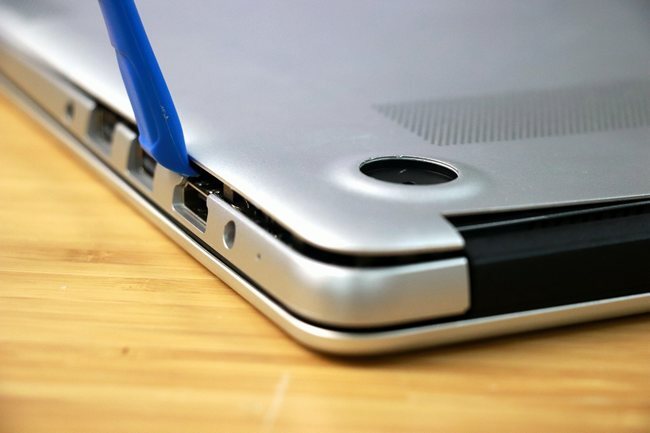 The right side of the laptop only provides a USB2.0 port. This variant doesn’t come with a fingerprint reader and an all-in-one SD slot. It doesn’t feature a backlit keyboard. It is the laptop’s back cover. The screws on the back are of the same specification. The internal screws have the different specification. Prepare the relative tool for the disassembly. Except for visible screws, there are also four mats on the back cover. First of all, remove the hidden screws under two mats. The mats are stuck by the double-sided tape. 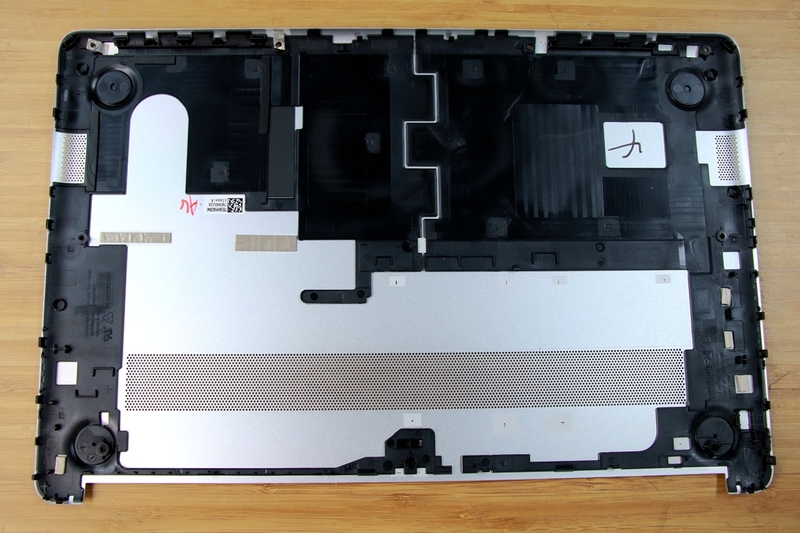 After removing all screws from the back cover, we can separate the back cover from the laptop body. The back cover is thin. There are snaps on the verge of the back cover. 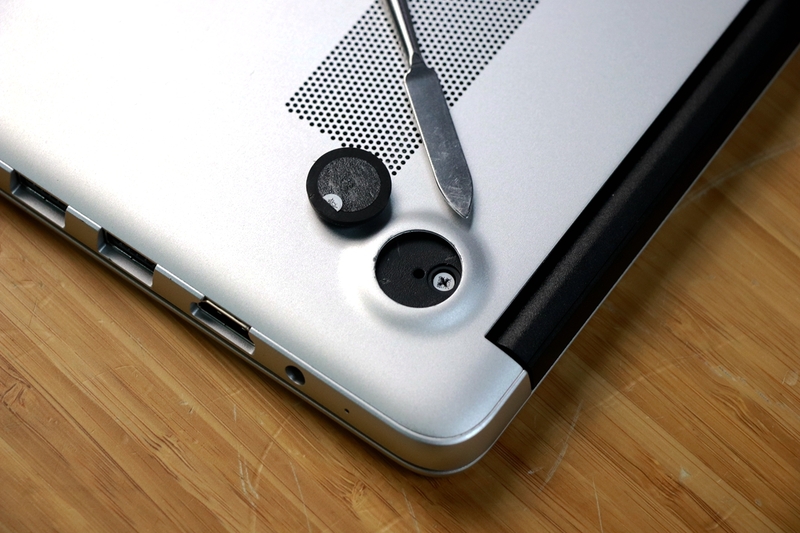 We need to be meticulous to avoid breaking snaps while removing the back cover. It is the internal structure. The laptop has a compact design on its internal structure. We can see a fan at the left top corner. The fan and copper pipe constitute the heat dissipation module. The processor and graphics card are placed under the copper pipe. We can see that the M.2 port SSD and a 2.5-inch HDD on the left. 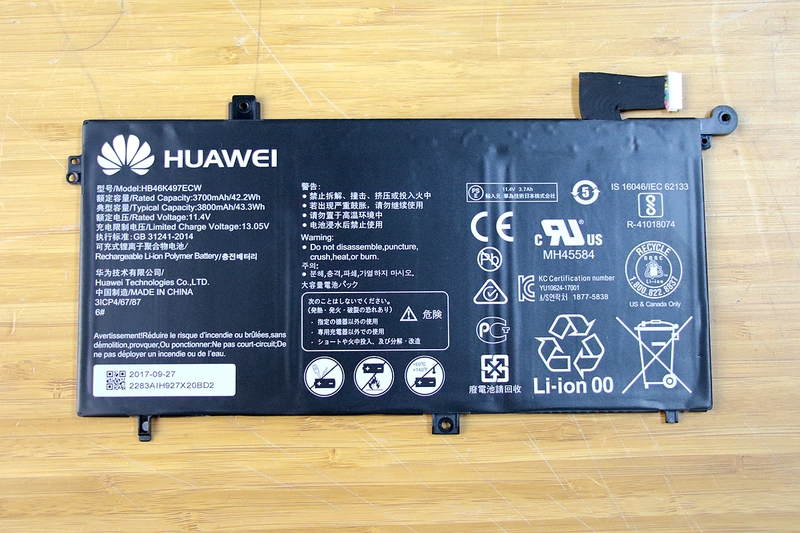 The black chunk on the right is the battery. Two speakers are placed on the left and right. If you want to continue the disassembly of the rest accessories, you need to power off the internal structure. The silver Huawei MateBook D (2018) comes with a 128GB SSD coupled with a 1TB HDD, which can be changed. For most users, there is no need to upgrade. Of course, you can use two SSD. Here is Intel’s Wi-Fi module. 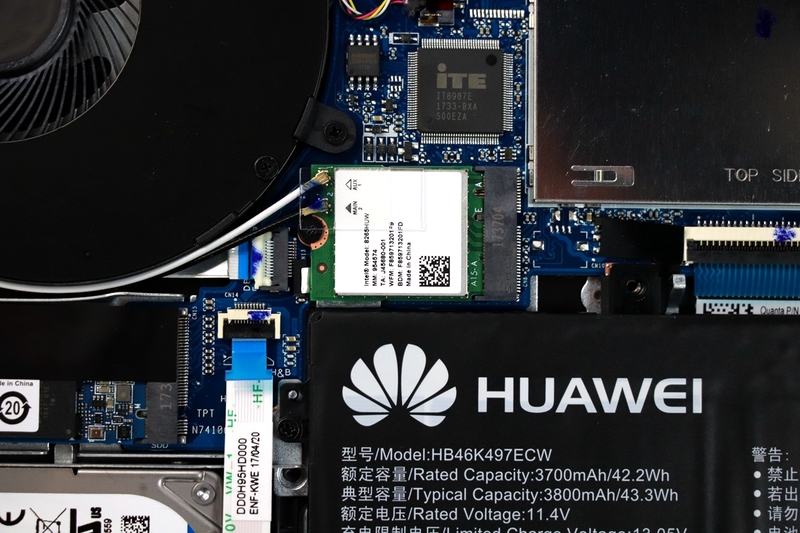 The Wi-Fi module needs to be taken out while disassembling the motherboard. There is no need to remove two speakers on the two sides. All we need is to disconnect the cable which connects the speakers to the motherboard. These ports are wielded on the motherboard. The USB port on the motherboard adopts independent design. Remove the screws used to fix the motherboard near the port while disassembling the motherboard. 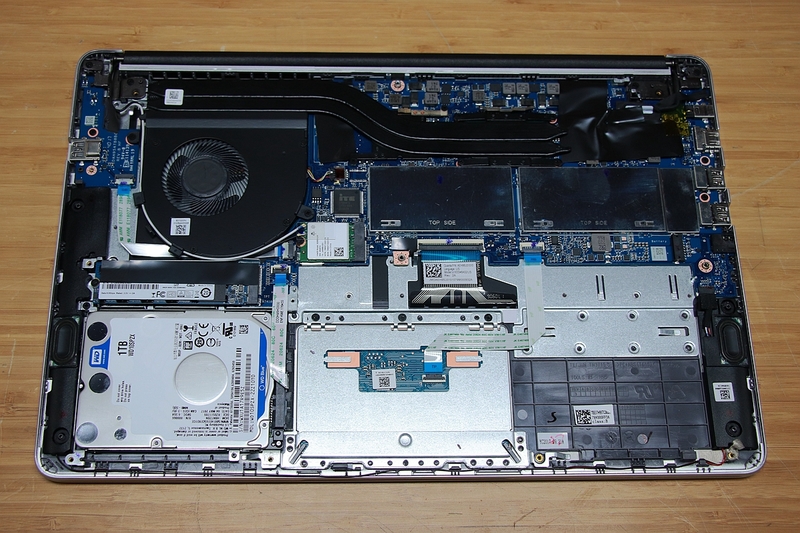 Besides, remove the screws from the hinge, and then the motherboard can be taken out. The USB port uses independent circuit board. The fan can be removed. 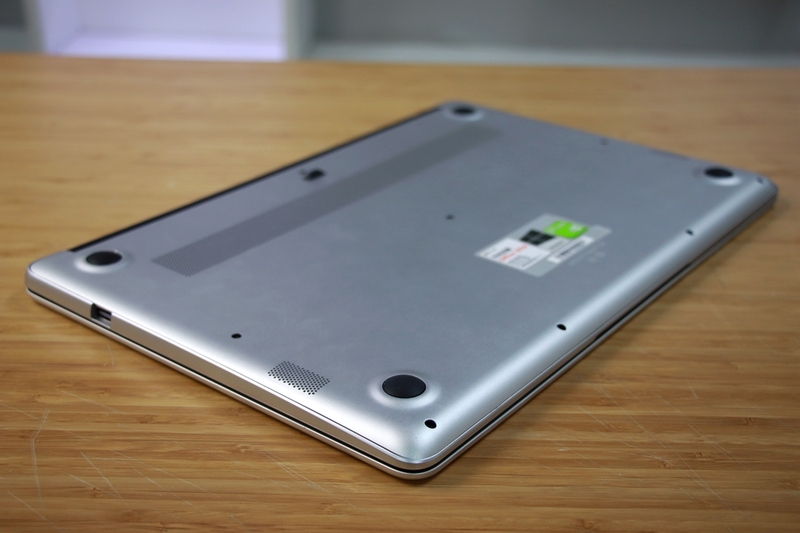 The laptop sports a three-chip 3800mAh battery which can work approximately 9 hours. 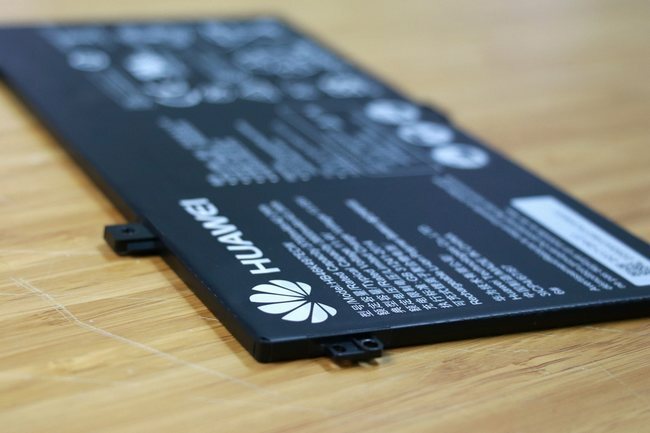 The battery is fixed by screws. We can easily take out the battery. It is the internal structure without the battery. After removing the battery, we can continue to disassemble other accessories. 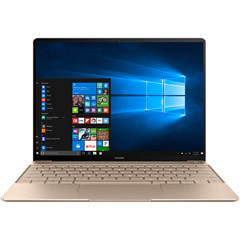 The MateBook D (2018) comes with SanDisk’s X400 128GB SATA3 SSD with the M.2 port. 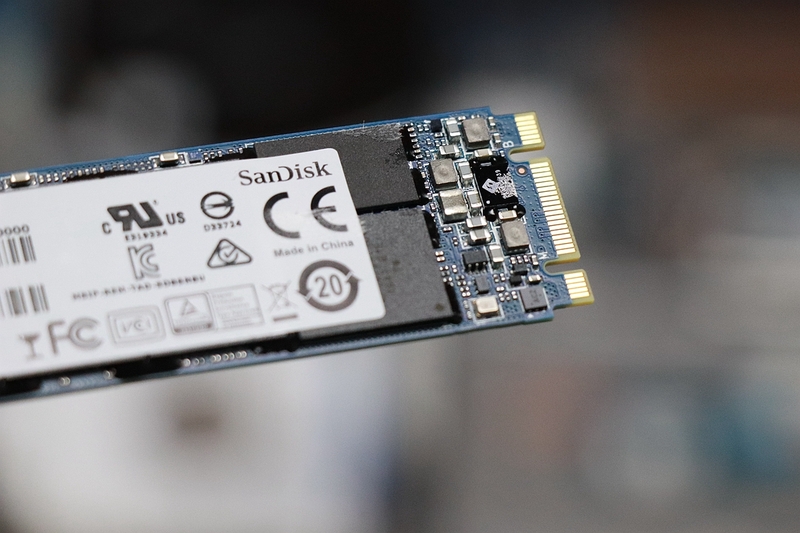 It is the SanDisk SSD with M.2 SATA 3 port. 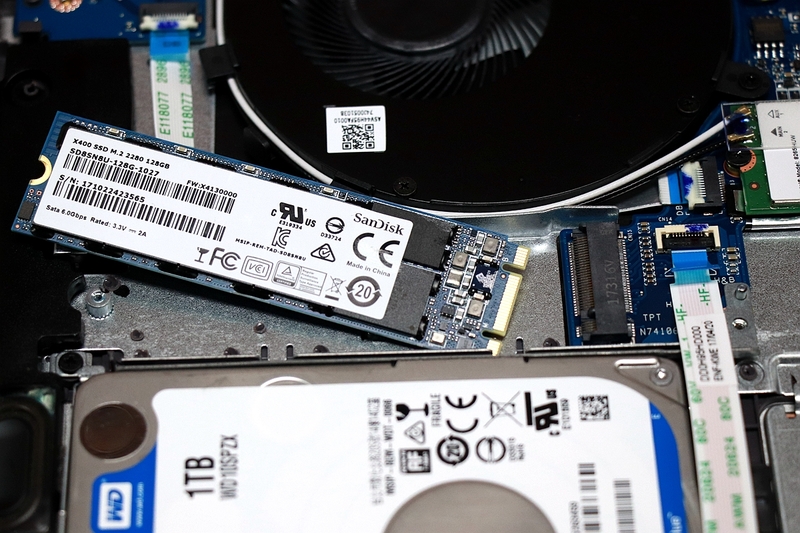 Next articleWhat is M.2 SSD? Great disassembly, but where is located the system ram? Thank you very much for such a thorough and well documented article with lots of pictures, Michael. Curious, what kind of connector does the display use if I need to source a replacement? Is it a 40-pin? Will a similar lcd be compatible if I can’t find an exact model screen from the manufacturer? I think the LCD connector should be 30pin for a non-touch screen, the 40pin screen has outdated. How can I remove the snaps after removing the screws? I cant take off the cover. Please use a thin plastic tool insert between the cover and laptop body, and slide the tool to release these snaps. This is 15.6 D model? 14 D has ram soldered to motherboard, right? 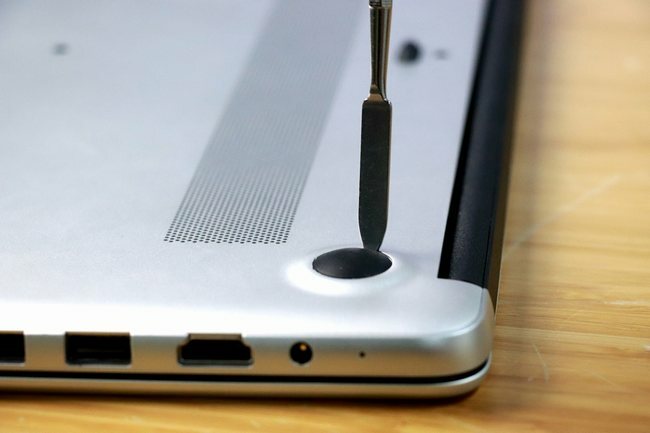 Yes, it is 15.6-inch Matebook D 2018, But I have not heard of the 14-inch Matebook D.
Usually, an SSD will bring screws when you buy it from the market. If not, you can purchase a screw of 2*4 specifications. can I put nvme ssd 2280 like samsung evo 970….? this is sata m2 ssd can I put it in nvme pci e ssd like samsung evo 970…? I have confirmed with Huawei customer service staff that its M.2 slot does not support the NVMe protocol. 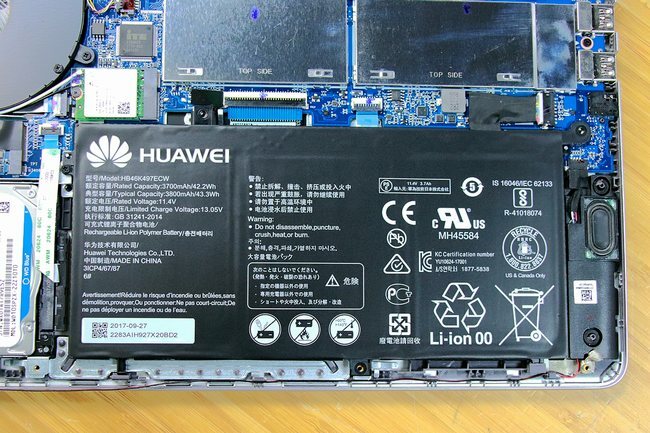 Hola que tal , tengo una Huawei Matebook D, i5, 256GB SSD, me gustaría saber si es posible ampliar con cualquier disco duro SSD, en este caso yo poseo un kingston. So does it have an extra m.2 slot to add another extra SSD? 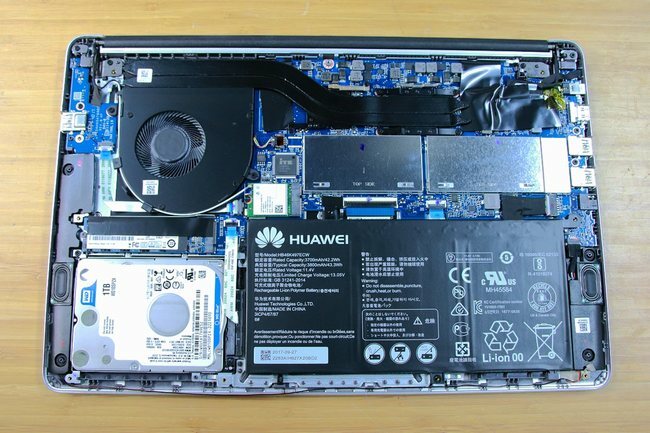 The laptop only has one M.2 slot. when I replaced my screen, I saw in the back of the battery wrote LED ?? what kind of screen is it please? I think its IPS not LED ?? Hi. 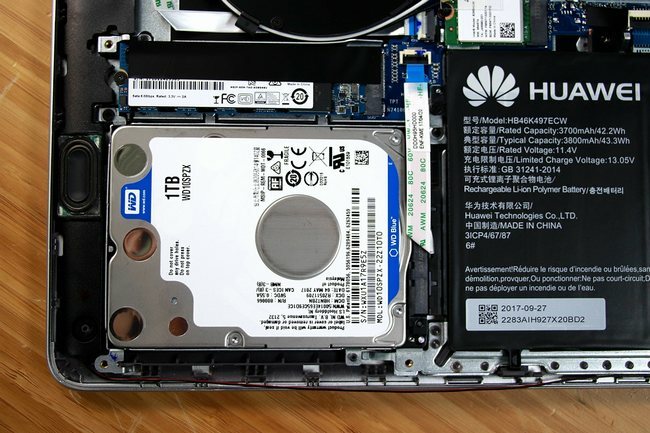 What SATA HDD connector for Matebook D [mrc-w50]? What number of pin [10 or 12]? I’ve found DD0H95HD010 [jse 18/11/19] on aliexpress. Is it fit for my laptop? From the picture, you can find the part number is DD0H95HD000, I think the DD0H95HD010 should be compatible with DD0H95HD000. Ok. I’ll try. Thx for reply. 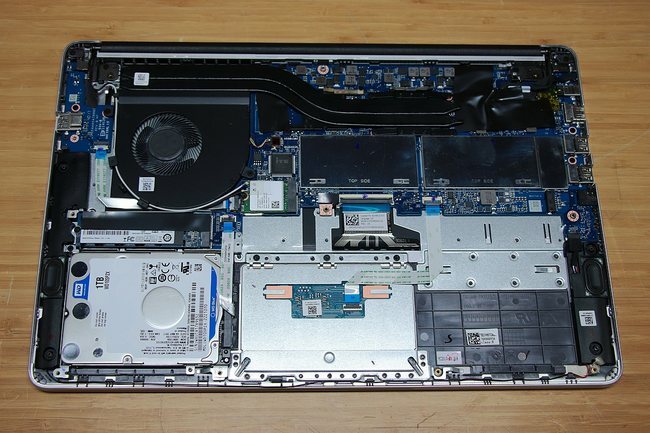 Paweł, did you manage to upgrade your Matebook with DD0H95HD010 connector? Where did you buy it? Thx for the answer.